Getting ready to travel for a speech or sales pitch can feel like you're going on safari. You pack a laptop computer and a heavy video projector. Even if the people at the your destination have their own projector, you always assume something will keep it from working correctly. It doesn't have to be that way. Today, you can load a PowerPoint deck on a tablet or even a mobile phone. 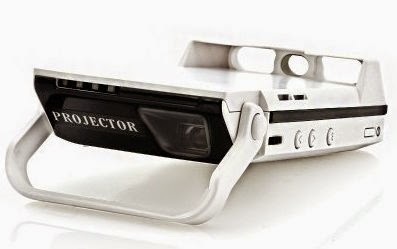 And now you can buy a video projector that's about the size and weight of a paperback book. One of them is the iBeam i60 pocket projector. It brings a big image, up to 60 inches in diameter - to small devices. The iBeam can connect to an iPhone, iPad or other device. It has two HDMI ports plus a full-size USB port and a micro USB. The projector has a light source that puts out 120 Lumens. That might not work in an auditorium, but it could be perfect for an average conference room. The iBeam also has an internal speakers and it runs on an internal battery - great for those times when the closest AC outlet is at the far end of the room. The iBeam is available for $292.30 from Chinavasion, a Hong Kong-based web retailer and distributor that offers great prices on gadgets that may not carry a well-known brand name. You can see more gadgets at the Chinavasion website and keep up with the company @chinavasion on Twitter.